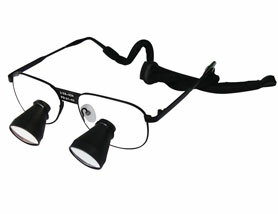 TTL dental loupes surgical loupes: TTL stands for through The Lens. It means that the loupes are glued to your lens. Although TTL is slightly lighter than Flip-Up system, it can not be moved from line of vision and the user can not make adjustments to the angle of declination to accommodate for the patient position. And since each pair of TTL loupes is custom made, it is much more expensive than the Flip-Up loupes.The loupes Through The Lens are light weight, and laconic appearance.It has fashionable design and comparable with designer frames.